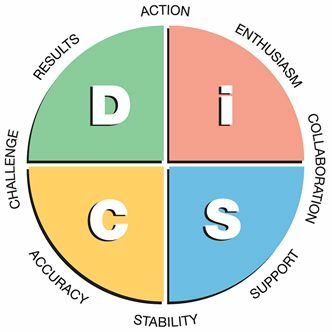 Great for on-boarding, new work groups, conflict management and more, the Everything DiSC Workplace Profile uses a research-validated learning model to create a highly personalised learner experience. Take a look at the research report (PDF). Workplace-specific with in-depth information, including tips, strategies, and action plans to help participants become more effective team members, the result is more effective and productive working relationships. Sessions get conversations going about real-time issues within a team. The language of the narrative is supportive, personalised and easily understood with or without the intervention of an assessment professional. The assessment takes 15-20 minutes to complete (via any online device), and the results are available within seconds of completion. Access MyEverythingDiSC to learn more about your style, and to compare styles with your colleagues and others. In-depth: The 20-page Everything DiSC Workplace Profile provides real-world tips and practical strategies for building a better workplace. Precise: Everything DiSC Workplace uses adaptive testing – an interactive assessment process that tailors questions based on an individual’s responses – to give participants the most precise DiSC style assignment possible. Everything DiSC Comparison Reports: Compare any two respondents. 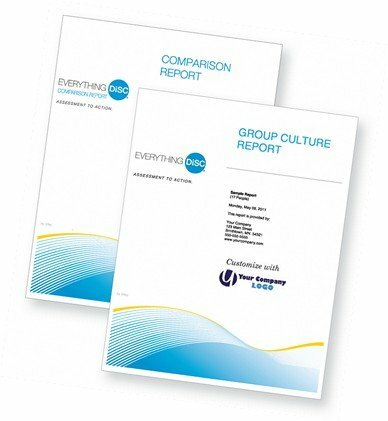 Everything DiSC Group Culture Report: Helps you determine the group’s DiSC culture, explore its advantages and disadvantages, discuss its effect on group members, and examine its influence on decision making and risk taking. Everything DiSC Team View: Provides an at-a-glance view of any group’s individual Everything DiSC maps.